The Mental Health Writers’ Guild exists to provide a community open to all bloggers and writers who write pieces which are either directly or indirectly related to mental health and mental well-being and where the perceived focus of said pieces is not to intentionally bring sufferers of mental illness or poor mental health, their family and friends, or those working within this field, into disrepute. The Mental Health Writers’ Guild exists to encourage: positive, informative, inspirational writing in respect of Mental Health. Doing so in the hope of ..
a) furthering a greater understanding of the issues and challenges relating to Mental Health and Mental Well-being. b) addressing and working towards the reduction and removal of the stigma often attached to poor mental health and/or mental illness. 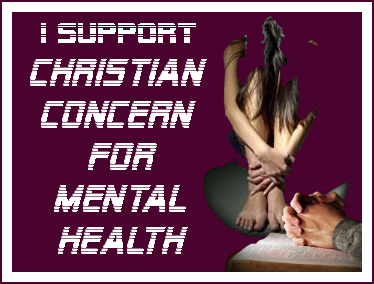 c) keeping people advised of any progress, research, developments or discoveries within the field of Mental Health and Mental Well-being. Likewise, The Mental Health Writers’ Guild seeks to encourage support and unity between all those writing about Mental Health and especially within Guild members. Access to membership of the Guild is free and voluntary and is via direct application or by nomination from a third-party and details of how to apply or to nominate someone can be found on our ‘MEMBERSHIP‘ page. Please note that: The inclusion of a blog or site in the Membership of the Mental Health Writers Guild should in no way be taken to infer or imply that the Guild and /or it’s members endorse or agree with all of the content of that blog or site. membership of the Guild simply requires a main focus of that blog or site to be about Mental Health and Mental Wellness and is not specific to individual beliefs or opinions other than that the blog/site represents mental health and those who suffer from mental health related issues in a positive light. Additionally and most importantly: The Mental Health Writer’s Guild is a voluntary, non-profit, non-professional community. Membership to to the Guild does not and is not intended in itself to imply. infer, or confer any form of professional or accredited status on it’s members. Thankyou for your kind words, there are so many really great blogs out there and I am just glad to be a part of it all and so encouraged by the response. In terms of the blog you are thinking of nominating yes please do, either nominate them or approach the blogger in question and get them to consider it. In terms of you own blog, not every piece on a person’s blog needs to be about mental health I just ask that it is one of the main themes and that anything written has been written in a way that is positive and not negative concerning mental health. So please feel free to join us. Having just now found this site, what a valuable forum and gathering place. How important to know that we are not alone and this community is a great asset. Thanks. Good to hear from you and glad you liked the site. Sorry for the late response I have been unwell. 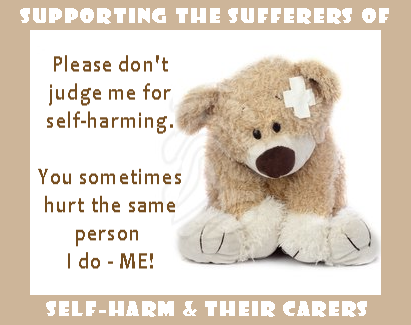 Check out the site and if you feel it is appropriate why not consider becoming a member? Thank you for adding me! It is a privilege to be part of this Guild! That is so very kind of you, thank you. I will be checking it out later on today when I have a little more time, but just wanted to say a big thank you to you. I got your earlier reply. I will respond in a little while. I have had an extremely difficult day of anxiety attack and PTSD over an IRS letter and also being locked out of my Turbo tax account for a stupid error on their part. I need turbo tax to help me with the tax problem and they won’t until I fix the identity issue with them. Anyway, I have not forgotten you. I have just been on the phone for hours and hours trying to fix this. I even had to take a xanex which i very rarely take, just to keep myself on the phone explaining and re explaining the problem to one person after the other. Four hours of nightmare and still not fixed. I am so sorry to hear of your hassles and trust me I hate most telephone conversations so I am very sincere when I say that I am sorry to hear you had to go through that. Hopefully you will have a more peaceful day today. 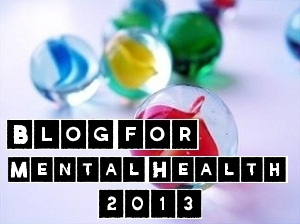 I have a blog in which I’m blogging on Mental Health Awareness throughout the month of April. Having lived with depression and with people who’ve had mental health issues, I thought of expressing my thoughts and insights and sharing them for what they are worth. Many thanks for getting in touch and letting me know about your site “Voice’nViews”. I am pleased to be able to tell you that I have just popped over and visited the site and I am more than happy to include the site “Voice’nViews” in our Guild Members list and in fact have just done exactly that. So welcome! Thank you Kevin, for including my blog and all the info ! When I started, I wanted to explore ‘writing’ and then, without me being aware, issues That have been a part of me just wrote themselves out. I realised then that I do need to speak on this, whatever the world may think. You have just inspired me to keep writing ! Really pleased that you are part of the guild and that your blogging has given you a new voice. Blogging – having that voice – is so important not only for ourselves but also for others. I just found this site and love the idea of what you’re doing here. I’m in the process of reworking my writing site, but I do write features called ‘writing with depression’. Once I get those rolling again, I will submit an application to the site. 🙂 Again, wonderful site. Yes, please do. I would love to hear about them, read them and possibly include your site in our members list? This is the first I have heard of your Guild. I think it is phenomenal. Kudos to all. Sorry for the really lengthy delay in responding. I have been unwell and extremely busy at church over the Christmas time. I am now in the process of trying to play catch up. But many thanks for your kind comments. I am sooo glad I found this guild! 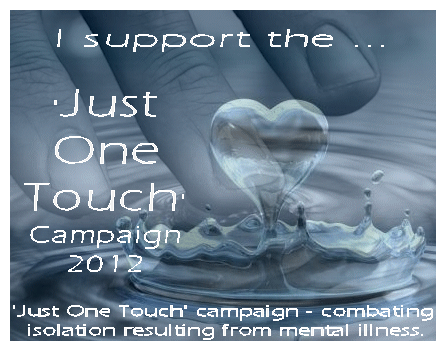 We need to spread more awareness about mental health especially during these days. Many apologies for the delayed response but I have been unwell. I agree we do need to spread more positive awareness. Hello! Call me Pectopatron. I am suffering from PTSD and I am so lucky to discover this blog. It gives me a strong and inspiring story to survive and do positive things. I start blogging about PTSD because I think it just the best tool for me to release my anxiety and it scientifically was proven. I hope it works for me and brings me a joy and resilience. Many thanks for getting in touch and for your comments. Apologies for the delayed response. You didn’t mention in your comment whether you were writing to apply for membership of the guild and I didn’t want to presume. Perhaps you could clarify that for me. It’s okay. Thak you for your replying. I am pretty new in this blogging and I do not have enough content yet. I will update regularly because it’s part of my therapy. I would like to apply for membership after I have enough content.